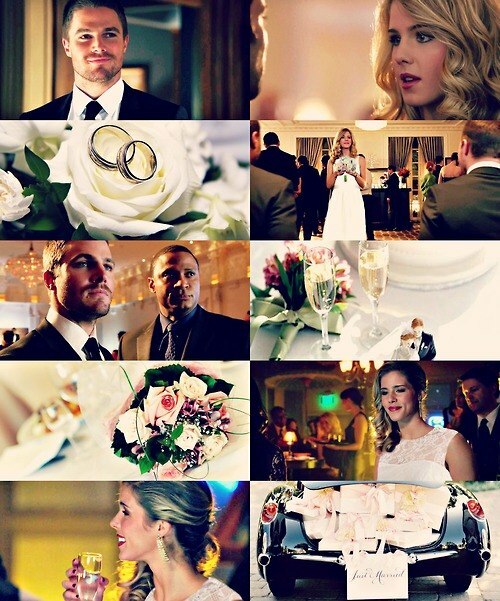 Olicity AU (wedding). . Wallpaper and background images in the Oliver & Felicity club tagged: photo olicity au. This Oliver & Felicity fan art contains boeket, corsage, ruikertje, bouquet, and posy. There might also be eettafel, bruidsmeisje, and bistro.